Easy, make-ahead freezer-friendly sandwiches, perfect for breakfast-on-the-go! Ready in just 2 minutes! Breakfast is the most important meal of the day, but who really has the time to make breakfast? AndSandwich is one othe the most perfectly meal for breakfast, are you agree? Just think of these as the healthy version of McDonalds McMuffins, except they taste 10000x better. Plus, you can make them ahead of time and pop them right into the freezer. Best of all, you can nuke these sandwiches between 1-2 minutes right in the microwave, no defrosting necessary. 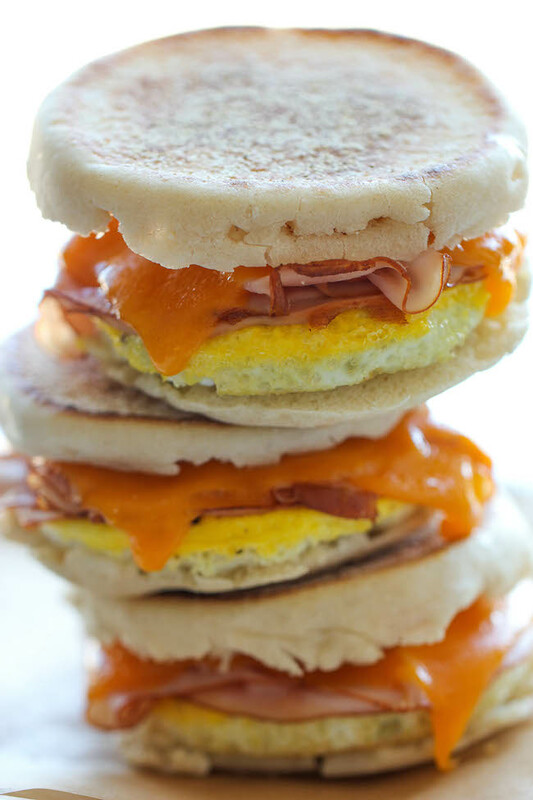 From there, you’ll have a piping hot, cheesy breakfast sandwich ready for you in the hectic morning. Preheat oven to 375 degrees. Lightly oil six 10-ounce ramekins or coat with nonstick spray and place onto a baking sheet. Add one egg to each ramekin, beating slightly; season with salt and pepper, to taste. Place into oven and bake until egg whites are cooked through, about 12-14 minutes. Place one egg over the muffin bottom. 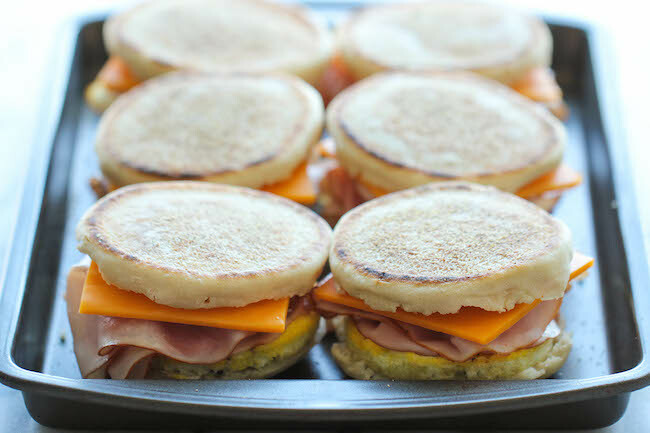 Top with 2 slices ham and 1 slice cheese, and then cover with another muffin top to create a sandwich. Repeat with remaining English muffins to make 6 sandwiches. Wrap tightly in plastic wrap and place in the freezer. 0 Response to "FREEZER BREAKFAST SANDWICHES"